The Russian Federation is the world’s largest country with over 6.6 million square miles. Russia’s famous cities are Moscow, its capital, and Saint Petersburg. Enjoy exploring the major landmarks in these very distinct, historic and impressive cities. This Moscow travel guide starts with a walking tour around the Kremlin Wall, through Red Square and into the fortified heart of Moskva. 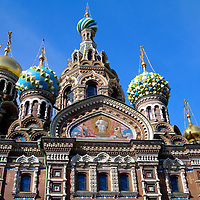 Then explore the city’s best museums, cathedral, metro stations and convent before having Russian cuisine for dinner. 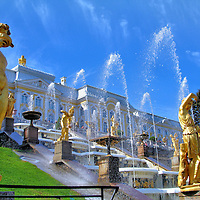 What began in 1705 as Peter the Great’s dream for a summer residence grew into an opulent complex of palaces, gardens and fountains for Russian emperors. 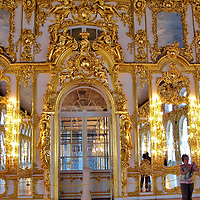 Enjoy exploring the famous Peterhof Palace near Saint Petersburg, Russia. See why all 9,721 acres have been designated a UNESCO World Heritage Site.